Dr Castro Alvaredo studied at the faculty of Physics of the University of Santiago de Compostela (Spain) from 1993 to 1997. At the end of this period she graduated with Honours in Physics specializing in Particle Physics and obtaining the highest grade of her year. Immediately afterwards she joined the Particle Physics department of the same university with a 4 year research fellowship from the Spanish Ministry of Education. From 1997 to 1999 she carried out her Diploma Thesis under the supervision of Prof. J. Luis Miramontes. Thereafter she started working in her PhD which she carried out to a large extent as a visitor at the Freie Universität Berlin (Germany) working under the supervision of Prof. A. Fring. She obtained her PhD in July 2001. After her graduation she obtained a 3 year research fellowship at the Freie Universität Berlin (Germany) where she pursued her scientific collaboration with Prof. A. Fring. At the end of this period she was awarded a research fellowship at the Ecole Normale Supérieure de Lyon (France) where she spent the 14 months prior to her appointment as a Lecturer at City University London, in March 2005. Dr Castro Alvaredo's research interests lie in quantum integrable field theories and quantum integrable spin chains. Some of the topics in the area of quantum field theory she has worked on are: the development of the bootstrap program for integrable quantum field theories with and without boundaries and defects. She has carried out much of her work in this area in collaboration with Prof. A. Fring, with occasional collaborations with Mr J. Dreißig, Dr C. Figueira de Morisson Faria, Dr C. Korff and Dr F. Göhmann. Dr Castro-Alvaredo has also worked on the computation of form factors of quantum spin chains in collaboration with Prof. Jean-Michel Maillet. Since 2007 Dr Castro Alvaredo has been working on the computation of the bi-partite entanglement entropy. This quantity provides a measure of the amount of entanglement that may be stored in a quantum state. The investigation of the properties of the entanglement entropy has attracted much attention in recent years as it has applications in many areas, from black holes, to quantum computing. 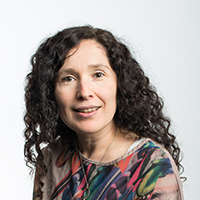 Dr Castro-Alvaredo has made several important contributions to this area since 2007, starting with her work with Prof. J. L. Cardy and Dr B. Doyon, which has been followed by several works with Dr B. Doyon and her former PhD student Dr Emanuele Levi. Dr Castro Alvaredo is currently Programme Director for Mathematics at the Department of Mathematics of City University London. I am a theoretical physicist working in Quantum Field Theory (QFT). I specialize on the study of integrable 1+1-dimensional QFTs and other related theories, such as conformal field theories and integrable quantum spin chains. Integrable models posses extra symmetries (that is, a large or infinite number of conserved quantities). This leads to very strong constraints on the form and value of all their physical quantities. Integrability combined with the restriction to one space dimension allows for the formulation of theories whose scattering amplitudes, form factors and correlation functions may be computed exactly. The systematic computation of these quantities is referred to as the "Bootstrap Programme" and it has attracted a great deal of attention over the last four decades. Much of the work that I have carried out relates to the development of such a programme, that is, computing scattering matrices, form factors and correlation functions in a variety of models and investigating their analytical properties and mathematical structures. Most of my work in these areas has been carried out in collaboration with Prof. Andreas Fring. In the context of quantum spin chains I have performed form factor calculations for mixed systems in collaboration with Prof. Jean-Michel Maillet. Since 2007 I have been applying some of the techniques above to the development of a systematic approach to the computation of the entanglement entropy associated to a the ground state of integrable QFTs and quantum spin chains. This work has been carried out initially in collaboration with Dr Benjamin Doyon and Prof. John Cardy and continues to be pursued in collaboration with Dr Doyon and my PhD students Dr Emanuele Levi and Mr Davide Bianchini. My most recent interest has been the extension of some of the integrability techniques mentioned earlier to the study of integrable quantum field theories out of equilibrium. This has lead to a recent paper in collaboration with Dr B. Doyon, Ms M. Hoogeveen and Mr Y. Chen. Further information: Research Area: Quantum Field Theory, Date of start 01 Oct 2013, Date of completion 30 Sep 2016. Castro Alvaredo, O. and Fring, A. (2003). Integrable models with unstable particles. July, Faro (Portugal). Castro Alvaredo, O. and Fring, A. (2002). Applications of quantum integrable systems. September, Moscow (Russia). Castro Alvaredo, O. and Fring, A. (2002). Conductance from Non-perturbative Methods II. July, São Paulo (Brazil). Castro Alvaredo, O. and Fring, A. (2002). Aspects of locality in the form factor program. World Scientific, Singapore. Castro Alvaredo, O. and Fring, A. (2001). Mutually local fields from form factors. December, Edinburgh, UK. Castro Alvaredo, O. and Fring, A. (2001). Mutually local fields from form factors. October, Tianjin, China. Castro Alvaredo, O. and Fring, A. (2001). Mutually local fields from form factors. September, Yerevan (Armenia). Castro-Alvaredo, O.A., De Fazio, C., Doyon, B. and Szécsényi, I.M. (2018). Entanglement Content of Quasiparticle Excitations. Physical Review Letters, 121(17). doi:10.1103/PhysRevLett.121.170602 . Theory. Journal of High Energy Physics, 39(2018), pp. 1–53. doi:10.1007/JHEP10(2018)039 . Castro-Alvaredo, O.A., Doyon, B. and Fioravanti, D. (2018). Conical twist fields and null polygonal Wilson loops. Nuclear Physics B, 931, pp. 146–178. doi:10.1016/j.nuclphysb.2018.04.002 . Castro-Alvaredo, O.A., Doyon, B. and Ravanini, F. (2017). Irreversibility of the renormalization group flow in non-unitary quantum field theory. Journal of Physics A: Mathematical and Theoretical, 50(42), pp. 424002–424002. doi:10.1088/1751-8121/aa8a10 . Castro-Alvaredo, O. (2017). Massive Corrections to Entanglement in Minimal E8 Toda Field Theory. SciPost Physics, 2(1). doi:10.21468/scipostphys.2.1.008 . Bianchini, D. and Castro-Alvaredo, O.A. (2016). Branch point twist field correlators in the massive free Boson theory. Nuclear Physics B, 913, pp. 879–911. doi:10.1016/j.nuclphysb.2016.10.016 . Blondeau-Fournier, O., Castro-Alvaredo, O.A. and Doyon, B. (2016). Universal scaling of the logarithmic negativity in massive quantum field theory. Journal of Physics A: Mathematical and Theoretical, 49(12). doi:10.1088/1751-8113/49/12/125401 . Castro-Alvaredo, O.A., Doyon, B. and Yoshimura, T. (2016). Emergent hydrodynamics in integrable quantum systems out of equilibrium. Physical Review X, 6(4). doi:10.1103/PhysRevX.6.041065 . Bianchini, D., Castro-Alvaredo, O.A. and Doyon, B. (2015). Entanglement entropy of non-unitary integrable quantum field theory. Nuclear Physics B, 896, pp. 835–880. doi:10.1016/j.nuclphysb.2015.05.013 . Bianchini, D., Castro-Alvaredo, O., Doyon, B., Levi, E. and Ravanini, F. (2015). Entanglement entropy of non-unitary conformal field theory. Journal of Physics A: Mathematical and Theoretical, 48(4). doi:10.1088/1751-8113/48/4/04FT01 . Castro-Alvaredo, O., Chen, Y., Doyon, B. and Hoogeveen, M. (2014). Thermodynamic Bethe ansatz for non-equilibrium steady states: Exact energy current and fluctuations in integrable QFT. Journal of Statistical Mechanics: Theory and Experiment, 2014(3). doi:10.1088/1742-5468/2014/03/P03011 . Levi, E., Castro Alvaredo, O. and Doyon, B. (2013). Universal corrections to the entanglement entropy in gapped quantum spin chains: a numerical study. Physical Review B: Condensed Matter and Materials Physics, 88(9), p. 94439. doi:10.1103/PhysRevB.88.094439 . Castro Alvaredo, O. and Doyon, B. (2013). Entanglement in permutation symmetric states, fractal dimensions, and geometric quantum mechanics. Journal of Statistical Mechanics: Theory and Experiment, 2013. doi:10.1088/1742-5468/2013/02/P02016 . Castro Alvaredo, O. and Doyon, B. (2012). Entanglement Entropy of Highly Degenerate States and Fractal Dimensions. Physical Review Letters, 108(12). doi:10.1103/PhysRevLett.108.120401 . Castro-Alvaredo, O.A. and Levi, E. (2011). Higher particle form factors of branch point twist fields in integrable quantum field theories. J PHYS A-MATH THEOR, 44(25). doi:10.1088/1751-8113/44/25/255401 . Castro-Alvaredo, O.A. and Doyon, B. (2011). Permutation operators, entanglement entropy, and the XXZ spin chain in the limit Δ → -1+. Journal of Statistical Mechanics: Theory and Experiment, 2011(2). Castro Alvaredo, O., Doyon, B. and Levi, E. (2011). Arguments towards a c-theorem from branch-point twist fields. Journal of Physics A: Mathematical and Theoretical, 44(49). doi:10.1088/1751-8113/44/49/492003 . Castro-Alvaredo, O.A. and Fring, A. (2009). A spin chain model with non-Hermitian interaction: The Ising quantum spin chain in an imaginary field. Journal of Physics A: Mathematical and Theoretical, 42(46). doi:10.1088/1751-8113/42/46/465211 . Castro-Alvaredo, O.A. and Doyon, B. (2009). Bi-partite entanglement entropy in massive (1+1)-dimensional quantum field theories. Journal of Physics A: Mathematical and Theoretical, 42(50). doi:10.1088/1751-8113/42/50/504006 . Castro-Alvaredo, O.A. and Doyon, B. (2009). Bi-partite entanglement entropy in massive QFT with a boundary: The ising model. Journal of Statistical Physics, 134(1), pp. 105–145. doi:10.1007/s10955-008-9664-2 . Castro-Alvaredo, O.A. and Doyon, B. (2008). Bi-partite entanglement entropy in integrable models with backscattering. Journal of Physics A: Mathematical and Theoretical, 41(27). Castro-Alvaredo, O.A. (2008). Form factors of boundary fields for the A2-affine Toda field theory. Journal of Physics A: Mathematical and Theoretical, 41(19). Cardy, J.L., Castro-Alvaredo, O.A. and Doyon, B. (2008). Form factors of branch-point twist fields in quantum integrable models and entanglement entropy. Journal of Statistical Physics, 130(1), pp. 129–168. doi:10.1007/s10955-007-9422-x . Castro Alvaredo, O., Fring, A. and Göhmann, F. (2008). On the absence of simultaneous reflection and transmission in integrable impurity systems. Submited to Phys. Lett..
Castro-Alvaredo, O.A. and Maillet, J.M. (2007). Form factors of integrable Heisenberg (higher) spin chains. Journal of Physics A: Mathematical and Theoretical, 40(27), pp. 7451–7471. doi:10.1088/1751-8113/40/27/004 . Castro-Alvaredo, O.A. (2006). Boundary form factors of the sinh-Gordon model with Dirichlet boundary conditions at the self-dual point. Journal of Physics A: Mathematical and General, 39(38), pp. 11901–11914. doi:10.1088/0305-4470/39/38/016 . Castro-Alvaredo, O. and Fring, A. (2005). Chaos in the thermodynamic Bethe ansatz. PHYS LETT A, 334(2-3), pp. 173–179. doi:10.1016/j.physleta.2004.11.009 . Castro-Alvaredo, O. and Fring, A. (2005). Chaos in the thermodynamic Bethe ansatz. Physics Letters, Section A: General, Atomic and Solid State Physics, 334(2-3), pp. 173–179. doi:10.1016/j.physleta.2004.11.009 . Castro Alvaredo, O. and Fring, A. (2005). Integrable models with unstable particles. Progress in Mathematics, 237, p. 59. Castro-Alvaredo, O.A., Dreißig, J. and Fring, A. (2004). Integrable scattering theories with unstable particles. European Physical Journal C, 35(3), pp. 393–411. doi:10.1140/epjc/s2004-01780-x . Castro-Alvaredo, O. and Fring, A. (2004). On vacuum energies and renomalizability in integrable quantum field theories. Nuclear Physics B, 687(3), pp. 303–322. doi:10.1016/j.nuclphysb.2004.04.005 . Castro-Alvaredo, O.A. and Fring, A. (2004). Applications of quantum integrable systems. International Journal of Modern Physics A, 19(SUPPL. 2), pp. 92–116. doi:10.1142/S0217751X04020336 . Castro-Alvaredo, O. and Fring, A. (2004). Universal boundary reflection amplitudes. Nuclear Physics B, 682(3), pp. 551–584. doi:10.1016/j.nuclphysb.2004.01.009 . Castro Alvaredo, O. and Fring, A. (2004). Universal boundary reflection amplitudes. Nucl. Phys., B682, p. 551. doi:10.1016/j.nuclphysb.2004.01.009 . Castro-Alvaredo, O.A. and Fring, A. (2003). Erratum: Breathers in the elliptic sine-Gordon model (Journal of Physics A: Mathematical and General (2003) 36 (10233-10249)). Journal of Physics A: Mathematical and General, 36(44), p. 11367. doi:10.1088/0305-4470/36/44/170045 . Castro-Alvaredo, O.A. and Fring, A. (2003). Breathers in the elliptic sine-Gordon model. Journal of Physics A: Mathematical and General, 36(40), pp. 10233–10249. doi:10.1088/0305-4470/36/40/008 . Castro-Alvaredo, O.A., Figueira de Morisson Faria, C. and Fring, A. (2003). Relativistic treatment of harmonics from impurity systems in quantum wires. Physical Review B - Condensed Matter and Materials Physics, 67(12). doi:10.1103/PhysRevB.67.125405 . Castro-Alvaredo, O. and Fring, A. (2003). From integrability to conductance, impurity systems. Nuclear Physics B, 649(3), pp. 449–490. doi:10.1016/S0550-3213(02)01029-5 . Castro Alvaredo, O. and Fring, A. (2003). Rational sequences for the conductance in quantum wires from affine Toda field theories. J. Phys., A36. Castro Alvaredo, O. and Fring, A. (2003). Conductance from Non-perturbative Methods I. JHEP ,PRHEP-unesp2002/010; cond-mat/0210599. Castro Alvaredo, O. and Fring, A. (2002). Finite temperature correlation functions from form factors. Nucl. Phys., B636, p. 611. Castro Alvaredo, O. and Fring, A. (2002). Unstable particles versus resonances in impurity systems, conductance in quantum wires. Journal of Physics: Condensed Matter, 14. doi:10.1088/0953-8984/14/47/101 . Castro Alvaredo, O. and Fring, A. (2002). Scaling functions from q-deformed Virasoro characters. J. Phys., A35, p. 609. doi:10.1088/0305-4470/35/3/310 . Castro-Alvaredo, O.A. and Fring, A. (2001). Form factors from free fermionic Fock fields, the Federbush model. Nuclear Physics B, 618(3), pp. 437–464. doi:10.1016/S0550-3213(01)00462-X . Castro-Alvaredo, O.A. and Fring, A. (2001). Decoupling the SU(N)2-homogeneous sine-Gordon model. Physical Review D, 64(8). doi:10.1103/PhysRevD.64.085007 . Castro-Alvaredo, O.A. and Fring, A. (2001). Renormalization group flow with unstable particles. Physical Review D, 63(2). doi:10.1103/PhysRevD.63.021701 . Castro-Alvaredo, O.A. and Fring, A. (2001). Identifying the operator content, the homogeneous sine-Gordon models. Nuclear Physics B, 604(1-2), pp. 367–390. doi:10.1016/S0550-3213(01)00055-4 . Castro Alvaredo, O. and Fring, A. (2001). Constructing infinite particle spectra. Phys. Rev., D64. doi:10.1103/PhysRevD.64.085005 . Castro Alvaredo, O. and Fring, A. (2001). Renormalization group flow with unstable particles. Phys. Rev., D63. Castro Alvaredo, O. and Fring, A. (2001). Identifying the operator content, the Homogeneous sine-Gordon models. Nucl. Phys., B604, p. 367. Castro-Alvaredo, O.A., Fring, A. and Korff, C. (2000). Form factors of the homogeneous sine-Gordon models. Physics Letters, Section B: Nuclear, Elementary Particle and High-Energy Physics, 484(1-2), pp. 167–176. doi:10.1016/S0370-2693(00)00565-7 . Castro Alvaredo, O. and Miramontes, J.L. (2000). Massive symmetric space sine-Gordon soliton theories and perturbed conformal field theory. Nucl. Phys., B581, p. 643. Castro Alvaredo, O., Fring, A., Korff, C. and Miramontes, J.L. (2000). Thermodynamic Bethe ansatz of the homogeneous sine-Gordon models. Nucl. Phys., B575, p. 535. I'm a referee for IoP (Journal of Physics A and Journal of Statistical Mechanics) and Elsevier. I have recently been awarded a certificate as Reviewer for Nuclear Physics B..